Number Coloring Pages have the numbers 0 to 20 to color. There are two different opotions. 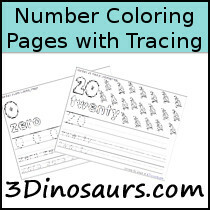 There is one for tracing the numbers and one for writing in the numbers. 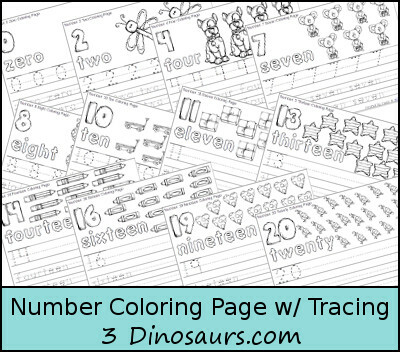 Click on the files below to download your copy of the Number Coloring Page with Tracing.